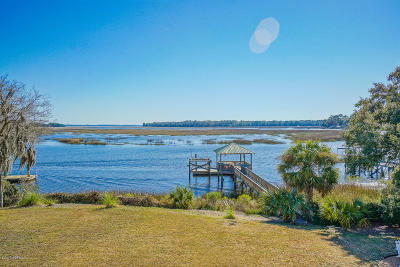 Some of the newest Deep Water Properties for Sale in Beaufort South Carolina. The Real Estate Properties include Single Family Homes, Houses, Condos, and Townhouses with access to Deep Water. Deep water properties vary from frontage on the major rivers, to secluded locations on deep water tributaries. In Beaufort deepwater depth varies from 3 feet to 14 feet. Request more details or showings in Beaufort SC directly by contacting our team of skilled Real Estate Consultants at our local office at 910 Charles Street, Beaufort SC 29902 or by calling (843) 521-2022. The above listings are some of the properties with access to Deep Water and Frontage for Sale in Beaufort SC. The Real Estate Properties include Single Family Homes, Houses, Condos, and Townhouses.